Nigel Owens MBE is an international Rugby referee from Mynyddcerrig in Carmarthenshire. After spending time as a school technician and youth worker he became a referee in the early 2000s. Since then he has gone on to referee all over the world, including the Rugby World Cup final in 2015. On talking about how it felt to be made an Honorary Fellow, Owens admitted he was “a bit nervous” before the ceremony but that it was “an honour and a privilege and [he] was truly humbled”. It turned out that there was no need for the nervousness, with many messages arrving via Twitter and Facebook after the ceremony to thank him for his inspiring and heart-felt speech. So proud of all @CardiffJomec students graduating today and an inspiring speech about the need for respect + tolerance from @Nigelrefowens. Owens wasn’t always a Rugby ref though, and had previously worked as a farm-hand, a youth worker and a school technician. With recent discussions about how hard it can be for graduates to find jobs with ‘just’ a degree, we asked Nigel what he thought about the need to gain different experiences. With all Owens’ achievements we wanted to know if there was any one which stood out for him. Turns out it was a difficult question for him to answer! Despite being such a well known figure in Wales and the sports world Owens remains down to earth and emphasised that receiving awards and Fellowships was a huge honour, but not what he does it for. 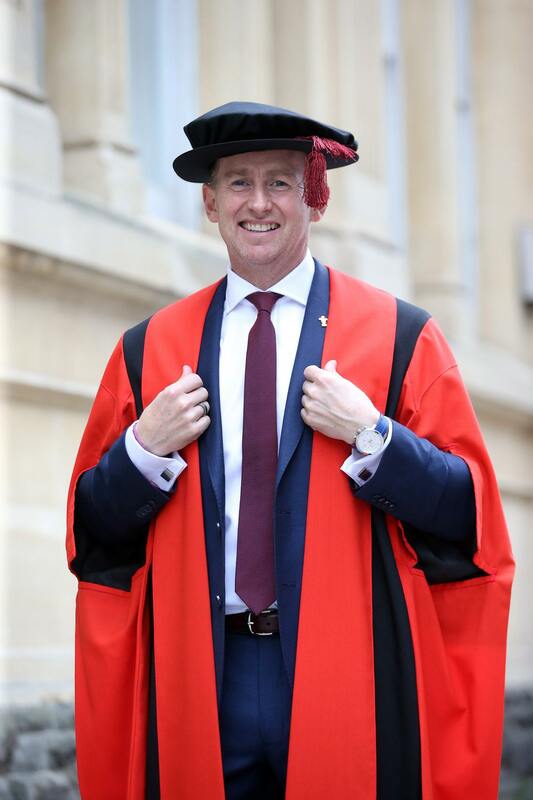 “When you get the accolades as a thank you for what you do it means a lot… it really was very humbling… Getting an Honorary Fellowship, it means something special”.